You’ve been crafting a client proposal for the last hour. You’re almost done. Then — ping! Before you know it, you’re searching through meeting notes, emails, and chat history to try to find the final projections. Now where did that conversation happen again? Situations like this feel inevitable when communication is scattered across email, internal chats, project tasks, shared docs, and more. We want to be nimble and collaborative, so we jump from app to app to keep up, sacrificing focus and critical information along the way. Front’s internal discussions give you a new way to chat, distraction-free — without leaving your inbox. Just comment and @mention your teammates to work together quickly, like chat. Each conversation is organized into separate threads, just like emails in your inbox, so information doesn’t get buried when you step away from your desk. With internal discussions, you can access all your work conversations in your inbox, instead of switching between tools. 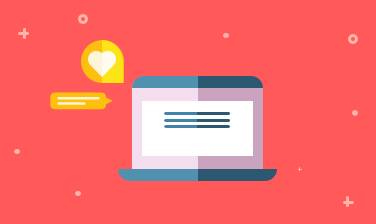 All your information in one place: No switching between tools to start or reference a conversation — it’s all in your inbox and searchable, just like email. Stay organized with discussion topics: Set topics for every discussion to easily reference discussions and stay on top of important conversations. No more scrolling through channels for context: Realize you need someone else to weigh in? Just add them directly to the discussion. There’s no need to start a separate thread or send them hunting through a channel to find your message. With internal discussions, it’s easy to stay in the loop on your terms. Use your private tags like 🗃️ Team updates, 🚀 Launch planning, or 💸 Approvals to group your discussions into the folders that make sense to you — right alongside your emails. You can tag and snooze them just like any other conversation in Front to stay on top of what matters most. Ready to try it? When you write a new message in Front, just click the arrow on your composer pen to kick off a discussion instead of an email. Hello, efficiency!